A leading child health specialist has questioned whether England’s NHS 111 helpline is safe and effective for young children. Royal College of Paediatrics and Child Health president Prof Neena Modi said the system was unfair on call handlers, who are not medically trained. She said even clinicians would find it hard to assess small children by phone. NHS England acknowledged the importance of thorough training but said the royal colleges helped produce the protocols. 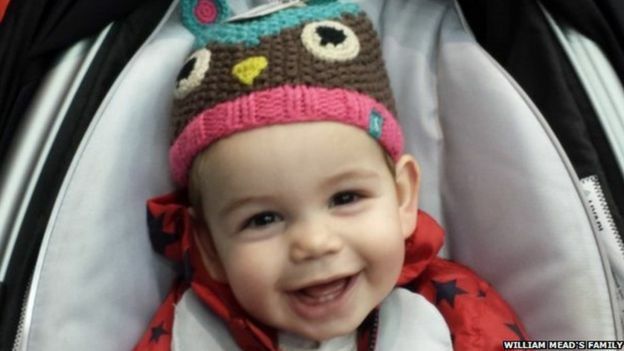 A report last month by NHS England described how NHS 111 missed chances to save 12-month-old William Mead, from Cornwall, who died in 2014 from blood poisoning following a chest infection after staff failed to recognise the seriousness of his condition. NHS England has said call handlers for the 111 service should be trained on how to recognise a complex call and when to call in clinical advice earlier. The government has said this will happen as soon as possible. But the NHS England report concluded that if a medic had taken the final phone call, instead of an NHS 111 adviser using a computer system, they probably would have realised William’s “cries as a child in distress” meant he needed urgent medical attention. Disgusted with this whole system 111 and the GP out of hours are both more concerned in meeting their targets and keeping everyone out of A&E than making patient safety the priority. How dare they misdiagnose children over the phone and lie and reassure parents nothing is wrong. They claim to fully investigate every failing but they do not and the depths of their deception is unbelievable. It is not safe!